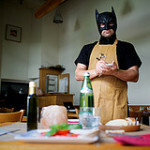 173/365 – “I’m Batman” nr.23, a photo by Luca Rossini on Flickr. Twenty-Third day of the “I’m Batman” theme, Sunday of August, the city is empty as my fridge is. 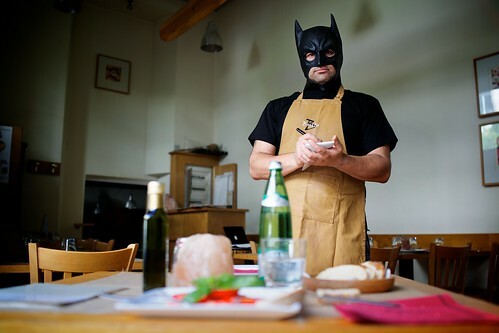 Only the Bat-Waiter at the Bat-Restaurant can save my day, taking my orders and kindly serving me a Bat-Lunch.